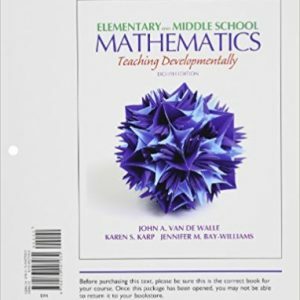 Initially adapted from Van de Walle’s market-leading textbook, Elementary and Middle School Mathematics, the Van de Walle Professional Mathematics Series are practical guides for developmentally appropriate, student-centered mathematics instruction from best selling mathematics methods authors John Van de Walle, LouAnn Lovin, Karen Karp, and Jennifer Bay-Williams. 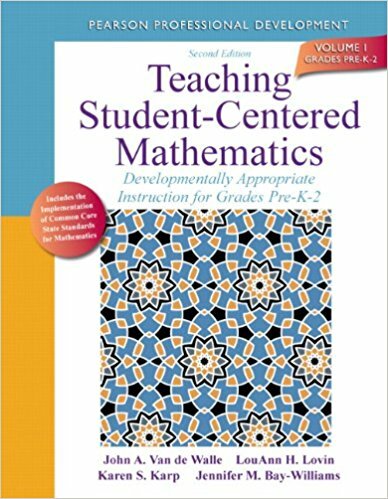 Specially designed for in-service teachers, each volume of the series focuses on the content relevant to a specific grade band and provides additional information on creating an effective classroom environment, engaging families, and aligning teaching to the Common Core State Standards. 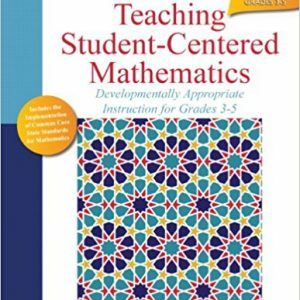 Additional activities and expanded lessons are also included.